I ran into an ole colleague the other day. We both weren’t totally sure at first but finally recognized each other. I think his uncertainty with me is that he’s only known me sporting a buzz cut. I’m currently combing back a good three inches of still mostly blonde hair. Ironically the gray showed more when I wore it short. I know why I’m growing my hair out. It was a conscious decision, a celebration really, after my surgery for cancer a year ago. I’m less clear on why I continue to push my body harder each year running. Since I returned to running six years ago, I’ve consistently improved in speed at the half marathon distance. I’ve been less successful at demonstrating speed in shorter distances. Maybe I am clear. I dream of repeating my college times for a 10K. And while I’m so lucid, I actually believe I can do it. I won’t have to run a 5 minute flat pace to be satisfied, anything in the 5 minute range will do. I suspect it will take another three years. In 1990, after moving to Boulder from Austin the previous fall, I ran a 41:11 Bolder Boulder. I was 28 years old and that was just under a 6:30 pace. Beating this time will be my first milestone on my return to a sub 6 minute pace. I began racing the BB again in 2010, which I ran in 49:52. Not sure where those 20 years went. 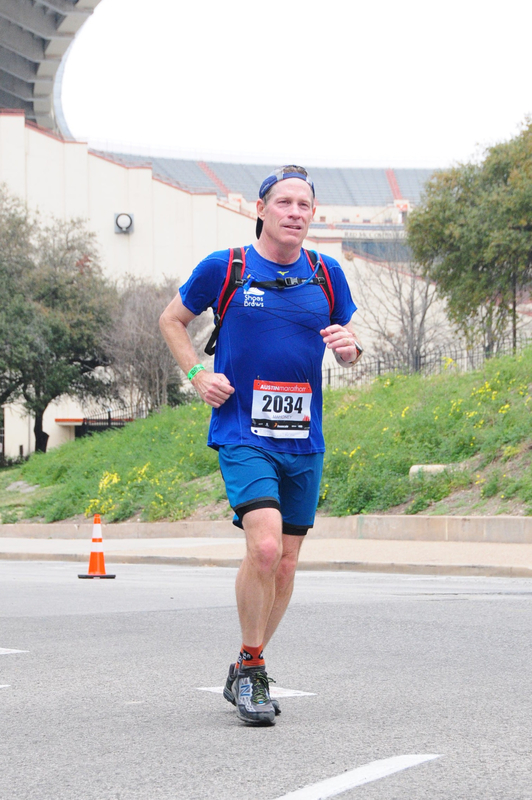 I worked my way down to 44:22 in 2013 – a 7:08 pace. Despite registering early and grand designs for 2014, I was only able to walk the 2014 BB with my daughter while still recovering from surgery. So this year is going to be special. Dropping over a half minute per mile from 2013 is a stretch, but that’s my goal. I’m racing age. I’m competing with my own youth. Why not? People nowadays compete with virtual Strava runners and online Garmin results. That I’m racing myself is at least being honest about my narcissism. But I tell you what, I feel my limits every day, after every workout. Each morning I bear my full weight against the railing as I walk down the stairs on my delicate ankles. Youth doesn’t know the pain of old age. I’m working speed back into my runs and my muscles are responding. Muscles have memory and I’m targeting total recall. Avoiding injury is a high-wire act but I’m not looking down. I’m looking across to the 2015 Bolder Boulder. To a sub 6:30 pace. On my way to a sub 6 minute pace. I’m in rewind toward the race times of my youth.